In Tuscan Landscaping, (just as Tuscan interior design!) the main idea is to stay with natural elements, and add that familiar Tuscan decor to the outside of your home. This includes using stone, mosaic tile, wood, terra cotta, and various clays, water and of course GREENERY! When choosing garden pieces for your decor, think of an inviting Tuscan farmhouse. The design of Tuscan gardens is so rich, as it represents romance, but yet a laid back relaxed feel for family gatherings! This is why people enjoy entertaining at my home! 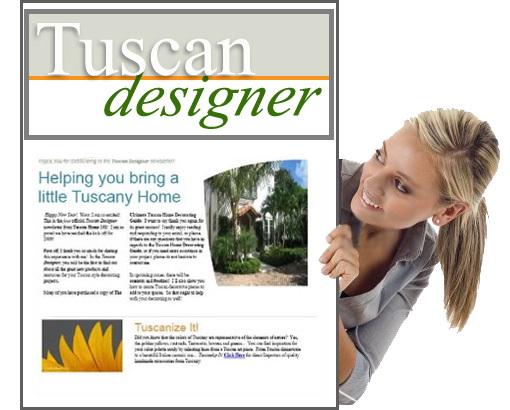 Overall Tuscan design consistently invites people… It makes them feel at home. 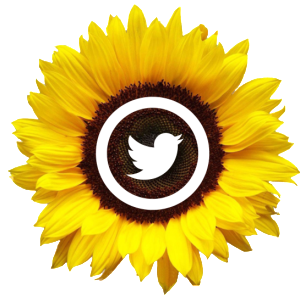 The same goes for your garden. Terra cotta pottery is a fabulous choice for gardens. It is inexpensive and looks fabulous! It is definitely a natural garden element— High in ranks with Tuscan decor and design! Also the usage of Tuscan urns work very well in a Tuscan style garden. To achieve the look of Tuscany, using these pieces with herbs, vegetables or flowers growing out from them will definitely give you an accurate look you are desiring. Just as mixing and matching of cabinets and Tuscan furniture is mentioned in the Tuscan kitchen design section of the website, mixing and matching of pottery in the garden is also a common and accepted look. 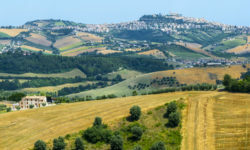 Whatever mix and matching you use, be sure to check in with the Tuscan Colors section of the site to keep you in line with Tuscan color palettes and choices. 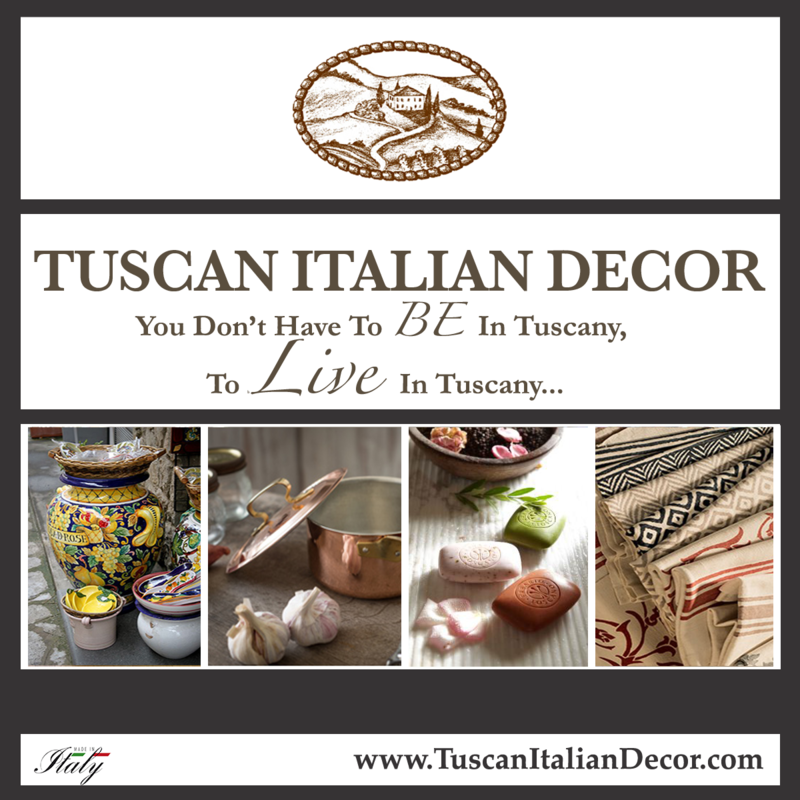 Tuscan design deals with colors of mother nature. 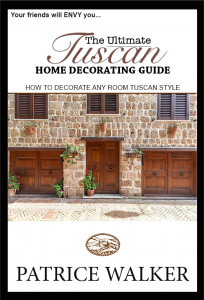 Earth tones are preferred shades when designing with Tuscan decor in mind. Usage of ceramic, wooden and metallic pots and containers are great choices as well. You can find a variety of urns made of different materials like fiberglass and plastic. It all depends on the look that you are going for when it comes to your garden pottery, and the cost you are prepared to spend. Many of these urns can be found at discount prices on eBay or Amazon. How about adding a water element to your yard? A L’Acqua di Vita Sculptural Fountain is always a beautiful addition and accurately represents Tuscan gardens. If you have recently dug though your basement or garage, you may have come across some great pieces that will work very well in your Tuscan garden. My mom has a love for wrought iron pieces. Over the years, she has decided to share them… I took over much of them and have them on display inside as well as outside my home. 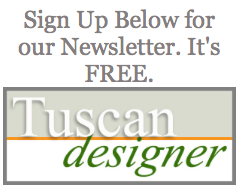 JOIN OUR FREE TUSCAN HOME DESIGN NEWSLETTER! 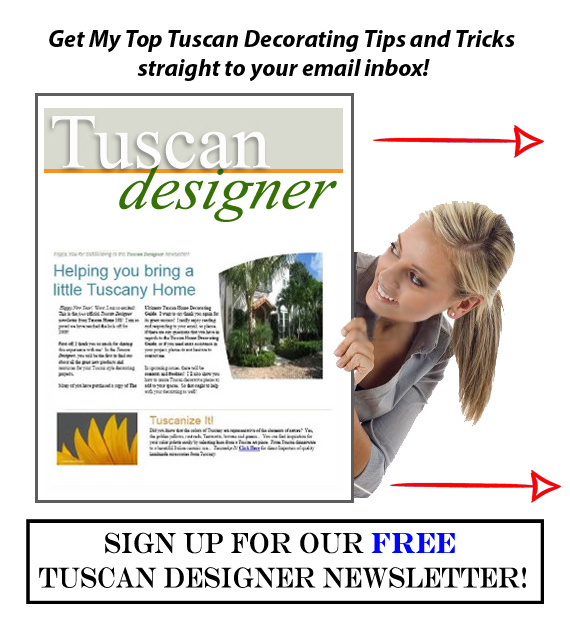 If you want more Tuscan landscaping photos and tips, you can get the benefits and the perks that come along with a FREE Subscription to the ULTIMATE Tuscan Design Newsletter… TUSCAN DESIGNER! 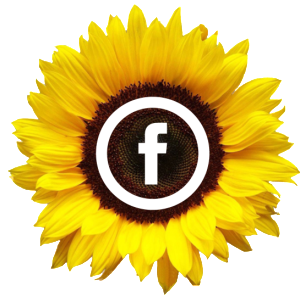 CLICK HERE to see what everybody’s raving about!